Indie-Tipp! Die beste australische Indiepoprockband, die ich mir vorstellen kann! Unheimliche treibende, eingängige Perlen, wer ein Faible hat für Courtney Barnett, die Go-Betweens, Echo & the Bunnymen und Radio Birdman ist hier genau richtig, es geht um den Song und die Gitarre an und für sich. Alle, die behaupten, heute würde ja keine gute Musik mehr gemacht, hören hier bitte einmal rein. Ohrwürmer en masse! Tolle Band, ich bin da richtig Fan. 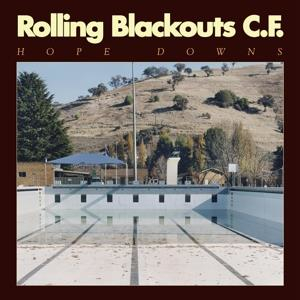 It's rare that a band's debut album sounds as confident and self-assured as Rolling Blackouts Coastal Fever's Hope Downs. To say that the first full-length from the Melbourne quintet improves on their buzz-building EPs from the last few years would be an understatement: the promise those early releases hinted at is fully realized here, with ten songs of urgent, passionate guitar pop that elicit warm memories of bands past, from the Go-Betweens' jangle to the charmingly lo-fi trappings of New Zealand's Flying Nun label. But don't mistake Rolling Blackouts Coastal Fever for nostalgists: Hope Downs is the sound of a band finding its own collective voice. The hard-hitting debut album is a testament to Rolling Blackouts C.F. 's tight-knit and hard-working bonafides. Prior to forming the band in 2013, singers/guitarists Fran Keaney, Tom Russo, and Joe White had played together in various garage bands, dating back to high school. When Rolling Blackouts C.F. started, with Joe Russo [Tom's brother] on bass, Marcel [Tussie, Joe White's then-housemate] on drums, the chemistry was immediate. After a split EP with You Yangs (another Russo brother's band), released in the form of a frisbee, they self-released Talk Tight in 2015, which Sydney-based record label Ivy League gave a wider release the following year. Talk Tight garnered plaudits from critics, including legendary rock scribe Robert Christgau. In 2017, Sub Pop released The French Press EP, bringing the band's chugging and tuneful non-linear indie rock to the rest of the world as they settled into their sound with remarkable ease. Hope Downs was largely written over the past year in the band's Melbourne rehearsal room where their previous releases were also written and recorded. The band's core trio of songwriters hunkered down and wrote as the chaos of the world outside unavoidably seeped into the songwriting process. "We were feeling like we were in a moment where the sands were shifting and the world was getting a lot weirder. There was a general sense that things were coming apart at the seams and people around us were too," Russo explains. The album title, taken from the name of a vast open cut mine in the middle of Australia, refers to the feeling of "standing at the edge of the void of the big unknown, and finding something to hold on to." With the help of engineer/producer Liam Judson and his portable setup, the band recorded Hope Downs live, and co-produced ten guitar pop gems over the course of two weeks in Northern New South Wales during the winter of 2017. Hope Downs possesses a robust full-band sound that's all the more impressive considering the band's avoidance of traditional recording studios. If you loved Talk Tight and The French Press, you certainly won't be disappointed here_but you might also be surprised at how the band's sound has grown. There's a richness and weight to these songs that was previously only hinted at, from the skyscraping chorus of "Sister's Jeans" to the thrilling climax of album closer "The Hammer." Hope Downs is as much about the people that populate the world around us_their stories, perspectives, and hopes in the face of disillusionment_as it is about the state of things at large. It's a record that focuses on finding the bright spots at a time when cynicism all too often feels like the natural state. 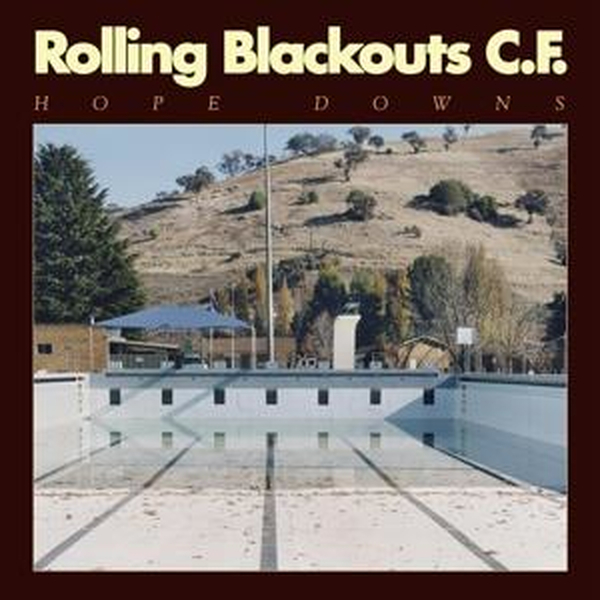 Rolling Blackouts C.F. are here to remind us to keep our feet on the ground_and Hope Downs is as delicious a taste of terra firma as you're going to get from a rock band right now.